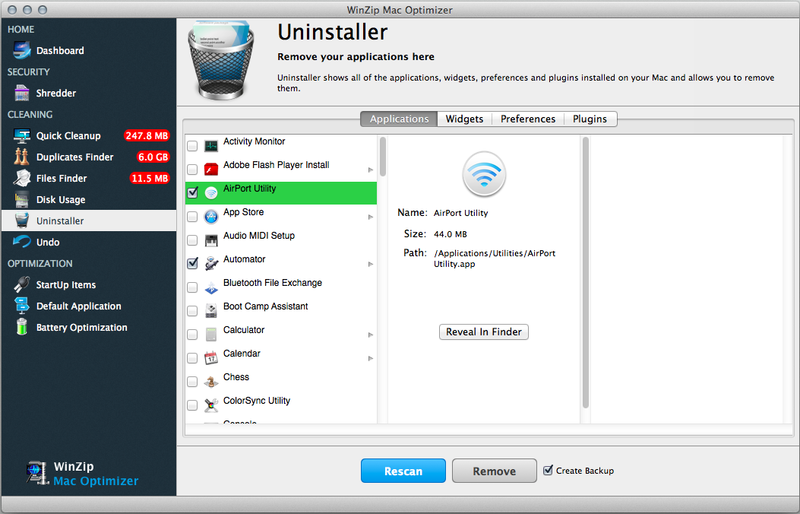 The Uninstaller feature in Mac Optimizer can be far more convenient than hunting down an uninstaller within the Applications folder. You can see all the programs you have installed in one location, similar to the Programs and Features app on a Windows PC. Then, you can select any installed application and uninstall it. You can click on the Applications, Widgets, Preferences or Plugins tab to view each type of app.